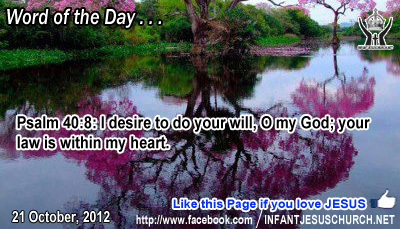 Psalm 40:8: I desire to do your will, O my God; your law is within my heart. Heavenly Father, we do want to do your will. We want to please you, worship you, and direct others to you. Give us spiritual discernment to know your will and spiritual courage to do it today and every day. We want your nature and righteousness to inform our heart when we are tempted by Satan not to live for you. Humble us gently when we are incorrect or have lost our way. In the name of Infant Jesus we pray. Amen. The desire for greatness seems to be inbred in all of us. Who wants to be last or least? Jesus did the unlikely - he upturned the order to true greatness and glory. If we want to be first and great, then we have to place ourselves at the removal of others by putting their interests first and by taking on their concerns and anxieties as if they were our own. Jesus committed authority with unconditional love and service with total surrender – the willing give up of one's life for the sake of another. Power without sacrificial love is rough and self-serving. Jesus also used stark language to clarify what kind of sacrifice he had in mind. His disciples have to drink his cup if they anticipate reigning with him in his kingdom. The cup he had in mind was a bitter one connecting crucifixion – laying down one's life even to the point of shedding one's blood for the sake of Christ. Loving Infant Jesus, set us free from fear and pride that we may be a servant of love and sympathy for others. May the fire of your love provoke our heart that we may give generously and serve happily for your sake.